If you're concerned about 5 HTP danger, careful consideration of the risks and benefits may allay your fears. The product known as 5 HTP contains a naturally occurring brain chemical, 5-hydroxytryptophan. Synthesized from proteins containing tryptophan, 5 HTP whirls through the brain with a bevy of chemical compounds called neurotransmitters that affect mood, sleep, and appetite. Like Nautre Made SAM-e supplements, 5-HTP works with the neurotransmitter serotonin. Individuals take 5-HTP to combat depression, anxiety, and insomnia. Recently many companies have begun touting 5 HTP as a weight loss product. Both prescription and non-prescription supplements affecting serotonin appear to decrease appetite. Scientists aren't sure of the exact mechanism at work, but preliminary theories suggest that when serotonin levels are low, the body boosts the appetite in a quest to ingest as many foods as possible that provide the building blocks of serotonin. 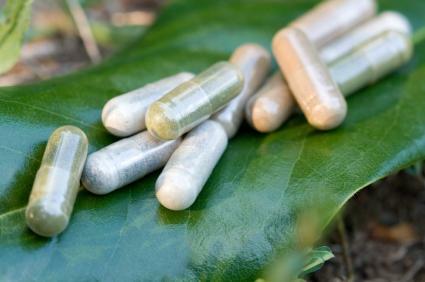 While this supplement appears to be safe for most people, 5 HTP danger occurs when people mix 5 HTP with prescription medications and herbal supplements. Taking too much 5 HTP is also dangerous. People suffering from depression frequently take medications known as selective serotonin reuptake inhibitors (SSRI). Medications in this category include brand names such as Prozac, Lexapro, Celexa, Paxil and others. The exact way that these medications improve mood isn't known, but doctors speculate that SSRI drugs block the reuptake of serotonin in the brain, leaving more circulating serotonin for use by the brain itself. This process improves neurotransmission among nerves that affect mood. SSRI medications exert a powerful influence on brain chemistry. It's no surprise then, to learn that taking 5 HTP and a prescription SRRI poses great danger. Remember that 5 HTP itself interacts in complex ways with the entire serotonin reuptake system in the brain. Because the SSRI medications are already altering the delicate symphony of chemicals, adding 5 HTP to the mix creates cacophony. Mixing SSRI medications and 5 HTP may result in a rare but extremely serious condition called serotonin syndrome. People with serotonin syndrome exhibit a variety of symptoms including confusion, restlessness, hallucinations, fever, nausea and vomiting. Coma and death follow swiftly after symptoms appear. Anyone taking antidepressant medications, 5 HTP or a combination of substances who begins exhibiting these symptoms should go to the nearest hospital immediately. Just as mixing prescription medications with 5 HTP is dangerous, mixing 5 HTP with herbal supplements for depression such as St. John's Wort is also not recommended. Like SSRI medications, St. John's Wort alters the delicate balance of brain chemistry. 5 HTP can tip the balance into dangerous territory. If you have any questions about these medications, supplements or herbs, please consult your doctor or another qualified health professional, and always tell your doctor about vitamin and herbal supplements you are taking to avoid dangerous interactions. Individuals who take 5 HTP may expect it to act like a magic pill, altering their mood overnight. Medications, supplements and herbs that act upon neurotransmitters often need to be taken for several weeks before patients feel the effects. In their rush to feel better, some people take more and more 5 HTP, hoping that "more is better" and the substance will improve their mood faster. This can create the dangerous condition mentioned above, serotonin syndrome. Many alternate health practitioners recommend starting slowly with 5 HTP and taking it for only short periods of time to avoid dangerous overdoses. People taking 5 HTP also report other side effects, including nausea and stomach upset, irritability, and insomnia. If symptoms worsen or you feel ill taking 5 HTP, discontinue and see a physician immediately. No discussion of 5 HTP danger is complete without mentioning "peak X", a term coined in 1994 when a woman came down with a serious and rare condition called eosinophilia-myalgia syndrome (EMS). In this condition, the body overproduces eosinophils. Eosinophils are white blood cells responsible for combating infections. In EMS, high levels of eosinophils cause trembling, extreme muscle pain, and shortness of breath. In 1994, a Canadian woman came down with symptoms of EMS after handling 5 HTP pills intended for her children who required the supplement for medical reasons. Although the children didn't become ill, they also had higher than normal levels of eosinphils. The suspected compound within 5 HTP that created these side effects was named "peak X". Today, most alternate health practitioners feel that the supply of 5 HTP is free from peak X. Anyone taking 5 HTP, however, should be aware of the possibility and check with a physician if they experience unusual symptoms.